A year ago I did a feature on the filming of the movie, Half of a Yellow Sun starring accaliamed actors, Chiwetel Ejiofor and Thandie Newton. Half of a Yellow Sun will be premiering at the Toronto Film Festival (TIFF) this September. If this movie is a good representation of the book, I highly recommend you go and see it (if you reside in the Toronto area). The movie is directed by Biyi Bandele. The drama brings together the lives of four people during the struggle to establish an independent republic in Nigeria in the 1960s. 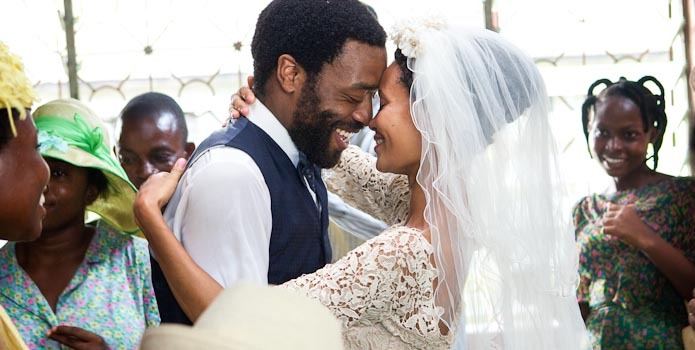 Chiwetel Ejiofor and Thandie Newton play two lovers that are part of a wealthy family dealing with the turbulence of war. Also co-starring in this movie are Anika Noni Rose, Joseph Mawle & John Boyega.